Relax and have fun in the Activity Room : Open during August for paper-based colouring activities. Pick up a garden trail : Look out for birds, fish and insects and their different habitats in the Palace garden. The Throne Room : There are lots of royal thrones in the Throne Room. Can you find the ones used by The Queen and Prince Philip? The Ballroom : You can’t miss the room where Queen Victoria threw parties for 2,000 people. The Ballroom is the largest room in the Palace – big enough to hold 84 double-decker buses. 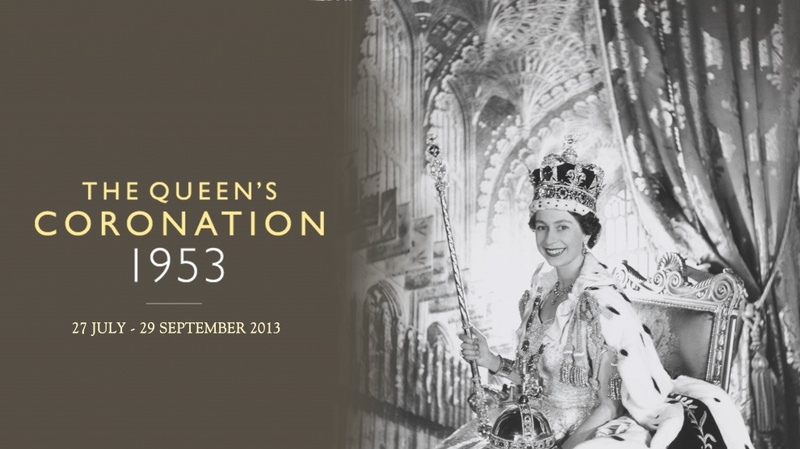 The secret door : The Queen arrives in the State Rooms through a hidden door from her private apartments. Can you spot the door in the White Drawing Room? Signs & symbols Keep your eyes peeled for hidden royal signs and symbols. Look out for the crowns on doors, lions on furniture and roses on the ceiling. The garden The garden at Buckingham Palace is an oasis of calm green space in the busy city and all sorts of birds and insects love to make their home here. Can you find the helipad and the lake that Queen Victoria’s husband, Prince Albert, fell in? (Check the website for correct prices at the time of booking, as details can change). You can enjoy family activities, tours, or just walk around the college yard at Westminster Abbey. They run themed workshops and events like “knight school” and “Westminster Safari” and offer creative, art and musical fun too. If you’re lucky you can enjoy free lunchtime music, Brass on the grass, where some of the UK’s finest brass bands play in the beautiful surrounding – check the website for the latest details. No booking required. The Cellarium Cafe and Terrace will be serving, in the garden, freshly brewed coffee, loose leaf teas and fabulous home made cakes including scones with clotted cream and jam. Soft drinks will be available. One of the cities most impressive buildings, check the online link where you can Discover the Orchestra at Royal Albert Hall and sign up for family workshops where you might even make some royal treasures to take home. 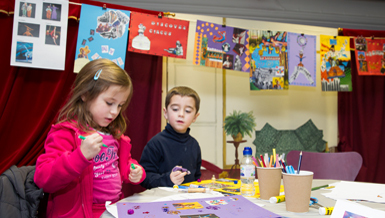 Note ; Discover Workshops are for children aged 5 – 11 as activities are not suitable for under 5s. Children must be accompanied by an adult. Tickets for adults and children must be purchased in advance. Entry is via Door 8. Kensington Palace offer family “Fun Fridays”. The cost of entry is £15 per adult, but children go free. The children’s activities are very well organised and supervised, and really worth booking up if you are making the trip. Numbers are limited so please do let us know if you book but are unable to come on the day. Workshops are aimed at 7 – 13 year olds but all ages are welcome. Children must be accompanied by an adult during the workshop. Included in your admission ticket. Kids go free to the palace. Playfully discover the stories of Kensington Palace in our Early Years sessions. Each week offers new ways to explore through fun, hands-on activities, where you and your little one will be transported to a magical world of stories! Throughout the summer holidays you can enjoy a special summer trail, including a word search,suitable for children/families is available and can be printed off and brought to the Cathedral during your visit. A number of printed copies are also available at the Cathedral entrance, together with pencils. There are also numerous trails for children on the Great Fire of London, worship, art and more to download – see the self-guided visits section of the Schools & Families website pages. Be an Explorer this Summer! The cathedral offer guided explorer trails and craft workshops for families, parishes and community groups. Come and share the story of faith and history at St Paul’s this summer by taking part in our ‘all age’ Guided Explorer Trail with Craft Workshop. Explorer bags containing torches, magnifying glasses and binoculars will be loaned as your guide enables you to discover things often missed by many! Suitable for ages 4+ (accompanied at all times by an adult). This is particularly aimed at families, parish and community groups. Please contact Janet Marshall at jmarshall@stpaulscathedral.org.uk or telephone 020 7246 8353 to discuss availability, individual and group fees. Booking is essential. Parishes wishing to bring groups may be booked in on other dates too, please call for more information. otros autores y práctica algo de su Sitios web .